Study finds Judea-Samaria population is 30% haredi, 22% secular and 47% National Religious. Former MK Yaakov Katz published on Thursday a statistical study which showed that over 400,000 Jews live in Judea and Samaria. 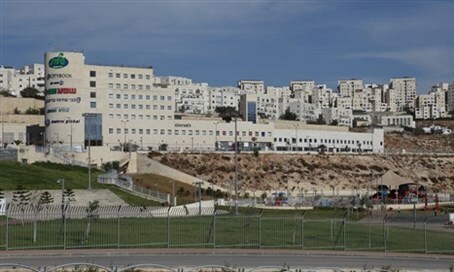 According to the study, the five largest cities in Judea and Samaria are Modi’in Illit, Beitar Illit, Ma’aleh Adumim, Ariel, and the local council area of Givat Ze’ev. All five have more than ten thousand residents. The combined population of those five cities is over 193,000 people, making up some 48 percent of the total number of Jewish residents of Judea and Samaria. Approximately 125,000 residents of Judea and Samaria are haredi, which makes them almost 30 percent of the population. The majority of the haredim live in four cities and towns. Modi’in Illit has 64,000, Beitar Illit has 52,000, Immanuel has some 4,000 and the Tel Zion neighborhood in Kochav Yaakov has 5,000. Given the rate of childbirth in the haredi population, it is not hard to believe that within the next few years, one in three people who live in Judea and Samaria will be haredi. Another astounding fact is that within the haredi neighborhoods in Judea and Samaria, 60 percent of the population is under 18. With regard to secular community, towns that identify as secular include Ma’aleh Adumim with 40,000 residents, Ariel with 20,000 residents, and Givat Ze’ev with 17,000 residents. Additionally, there are other local councils who identify as secular in Judea and Samaria, and when totaling them all together the number approaches 100,000 secular residents. There are considerable religious populations in each of these cities, so that number is slightly less than 100,000 and places the percentage at close to 22 percent. The number of National-Religious Jews who live in Judea and Samaria is approximately 190,000. Only 47 percent of the entire population of Judea and Samaria belongs to the National-Religious camp. Following the five biggest cities in the area, the regional councils of Efrat, Oranit, Alfei Menashe, Kiryat Arba and Kochav Yaakov round out the top ten in terms of population size. There are more than 27 townships whose populations surpass 3,000, aside from the ten mentioned above. Eight are part of the regional council of Binyamin, two belong to the regional council of Gush Etzion, and only one belongs to the regional council of Shomron. Here is the full list of population by location as published by Yaakov Katz. Avnei Hefetz, 1,820, Avnit 130, Adora 425, Oranit 9,073, Itamar 1,082, Alon Moreh 1,771, Alon Shvut 3,673, Almog 250, Eleazar 2,687, Alfei Menashe 8,169, Elkana 3929, Aspar 583, Efrtat 9,631, Argaman 167, Ariel 19,299, Eshkolot 495, Beit-El 6,128, Beit Arye 4,909, Beit Ha’aravah 151, Beit Horon 1,295, Beitar Illit 52,013, Bekaot 223, Bruhin 733, Braha 2,236, Barkan 1,867, Bat Ayin 1,385, Geva Binyamin 5,236, Givon Hahadasha 1,388, Givat Ze’ev 17,176, Gitit 402, Gilgal 168, Dolev 1,360, Har Adar 4,125, Har Gilo 1,514, Vered Jericho 285, Hevron 562, Haggai 612, Hinanit 1,240, Halamish 1,234, Hemdat 199, Hamrah 187, Hermesh 269, Hashmonaim 3283, Talmon 4,048, Tene 840, Yatab 349, Yafit, 205, Yitzhar 1,461, Yakir 1,967, Kochav Hashachar 2,169, Kochav Yaakov 7646, Kfar Adumim, 4015, Kfar Ha’Oranim 2,497, Kfar Etzion 770, Kfar Tapuah 1,036, Karmei Tzur 1,142, Karmel 469, Mevo Dotan 432, Mevo Horon 2,372, Migdal Oz 433, Migdalim 273, Modi’in Illit 64,915, Mehola 513, Mehora 178, Maon 558, Ma’aleh Adumim 40,693, Ma’aleh Efraim 1,659, Ma’aleh Levona 664, Ma’aleh Mihmash 1,612, Ma’aleh Amos 532, Ma’aleh Shomeron 1,007, Metzudat Yehuda 477, Mitzpe Yericho 2,256, Mitzpe Shalom 206, Masua 189, Mashkiot 172, Matityahu 705, Negohot 289, Neve Daniel 2,577, Nofim 702, Nokdim 1,757, Nahliel 693, Nili 1,483, Niran 94, Na’aleh 1,476, Na’ama 155, Netiv Hagdud 196, Susia 1,004, Salit 735, Ofra 3,353, Ateret 643, Eli 3,894, Alei Zahav 1,626, Almon 1385, Immanuel 3,793, Anav 804, Etz Efraim 1,865, Otniel 810, Peduel 1,763, P’Nei Hever 429, Psagot 2,028, Patzel 300, Tsufim 2,032, Kedumim 4,510, Kedar 1,457, Kalia 409, Kiryat Arba 7,874, Kiryat Netafim 807, Karnei Shomron 7,501, Rosh Tzurim 1,008, Revava 2,111, Roei 162, Rotem 177, Reihan 227, Rimonim 661, Shavei Shomron 986, Shedmat Mehola 617, Shilo 3,585, Shama 585, Sharei Tikva 5,518, Shaked 858, Tomer 321, Telem 338, Tekoa 3,671, five other small groups of communities or regional councils make up 4,517.